On the hunt for the perfect beauty gift? 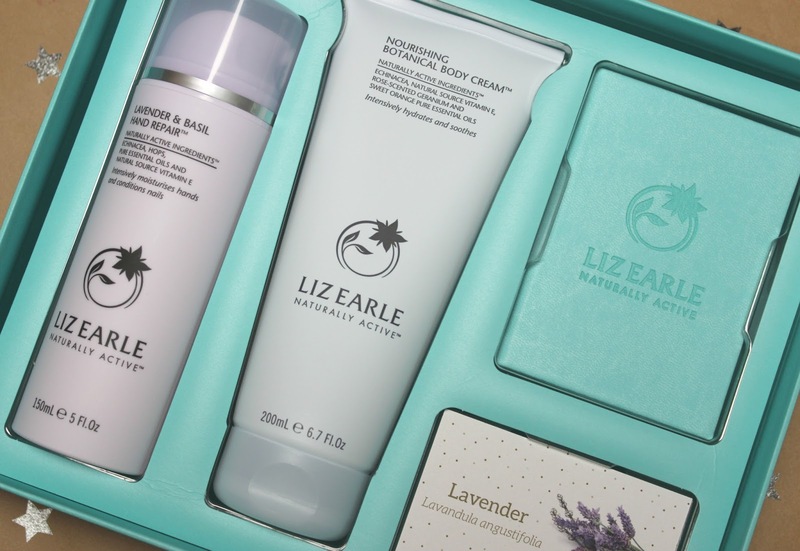 Liz Earle has released a gorgeous selection of gifts this year, with impressive gift sets, handy stocking fillers and beautiful scents set to impress. Today I'm sharing three of my top Christmas picks with you all, gifts that would make the perfect gift for a loved one this Christmas or even a lovely treat for yourself. The Liz Earle Cleanse & Polish is one of the most famous skincare products around and this year Liz Earle have released The Winter Icon Cleanse & Polish Sweet Orange & Clove (£22.75) gift set, a real star of their Christmas collection. Inside you will find a 150ml Cleanse & Polish, with a seasonal touch of Sweet Orange Oil and comforting Clove, alongside two pure cotton muslin cloths. Perfect for everyone from the die-hard Cleanse & Polish fans to anyone you know who has a real love for effective skincare, all presented in a beautifully festive gift box. For those who are more into their body care than skincare, or simply need a little nudge to pamper themselves more often, we have The Botanical Collection Soothing Lavender (£32.50) gift set, which features two full sized products alongside a Botanical Notebook. The products included are themed around Lavender, an ingredient renowned for it's calming and soothing properties. There's a 200ml Nourishing Botanical Body Cream and a 150ml Lavender & Basil Hand Repair. A great gift for mums and grandmothers this Christmas. If you love gifting sensuous scents then the new Botanical Essence No.9 Eau de Parfum (£49) would make the perfect gift this Christmas. The newest fragrance to join the Liz Earle range and handcrafted by a contemporary perfumer in Grasse, France, it utilises 9 of nature's most remarkable offerings. Each ingredient has been selected for its quality and purity, with top notes of Blackcurrant, Bergamot and Red Ginger, heart notes of Osmanthus, Damask Rose and Patchouli, alongside base notes of Oakmoss and Haitian Vetiver, finished off with a lovely touch of Vanilla. 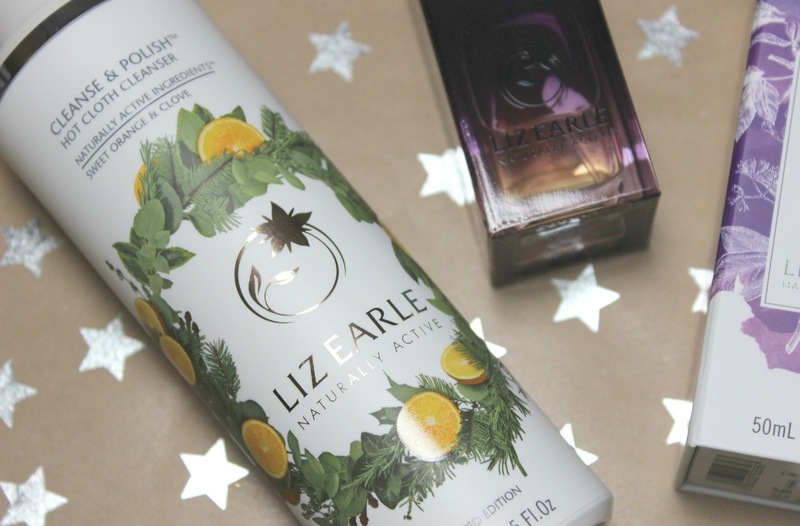 My top three picks from the Christmas selection this year, the entire range from Liz Earle is beautiful and well worth giving a look if you're still on the hunt for that perfect Christmas gift. 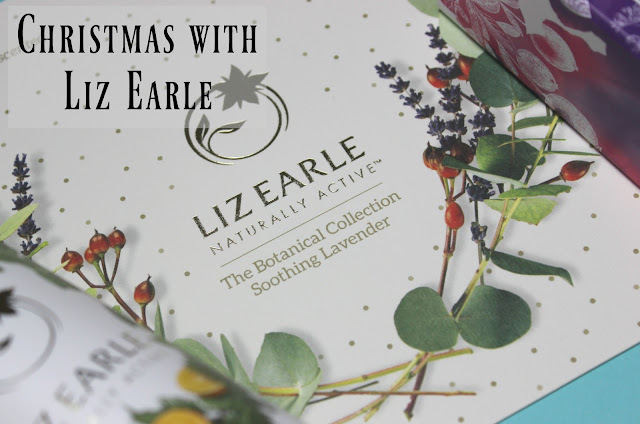 Let me know what your favourite Liz Earle product is, and I'd love to know if you will you be giving the gift of Liz Earle this Christmas! You can shop the full Christmas collection from Liz Earle online at uk.lizearle.com, as well as in-store at Liz Earle counters in John Lewis nationwide. I've recently vowed to replace all my products with cruelty free ones so have recently discovered Liz Earle products and they have fast become a firm favourite in my house! I'm currently enjoying the winter cleanse and polish you mention and the botanical essence. The lavender collection sounds great. I love lavender!